Don served his country in Vietnam and in my book, he’s a hero. 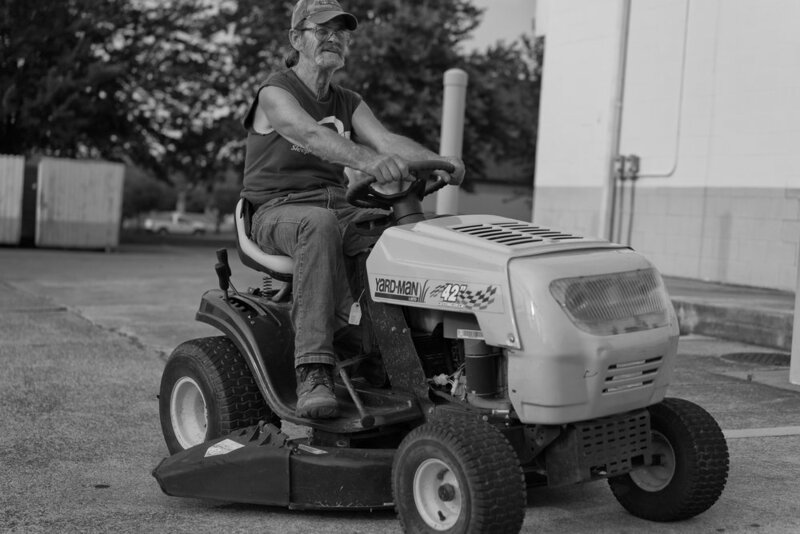 I couldn’t let this hero drive his new lawn tractor 30-miles alone. On the way home from work Thursday, I saw Don driving his recently purchased lawnmower down the highway. Knowing he lives another county down (30-minutes away by car), I stopped to offer Don and his new mower a ride. Don was armed with a can of beef stew and a cup of cold brewski when he helped me load the mower into the back of my truck. We then headed to Bedford County, TN. Prior to picking Don and his MTD Yard Machine up on Highway 231 South, he told me that he had already been riding it for the last 2-hours, after a brief stop at his favorite bar. His goal was to ride it all the way back to his camper, in the Shelbyville area. The MTD company began in 1932 and is actually family-owned company.